Contest ends March 19, 2016 at 8:00:00 Eastern Time. Entries received after this time will not be eligible. By participating in the Giveaway, each entrant (the "Participant") unconditionally accepts and agrees to comply with and abide by these Official Rules and the decisions of Tantrum House LLC. administrators, which shall be binding in all respects. The winner must be following Tantrum House's official Twitter account, Facebook account or Instagram account at the time of prize announcement. Each entry into the contest consists of one (1) use of the Tantrum House hashtag #SteamCourtBacker or a share/retweet of the initial contest announcement made by Tantrum House's official sites. Winner will be contacted via Twitter Direct Message or other means, if possible. 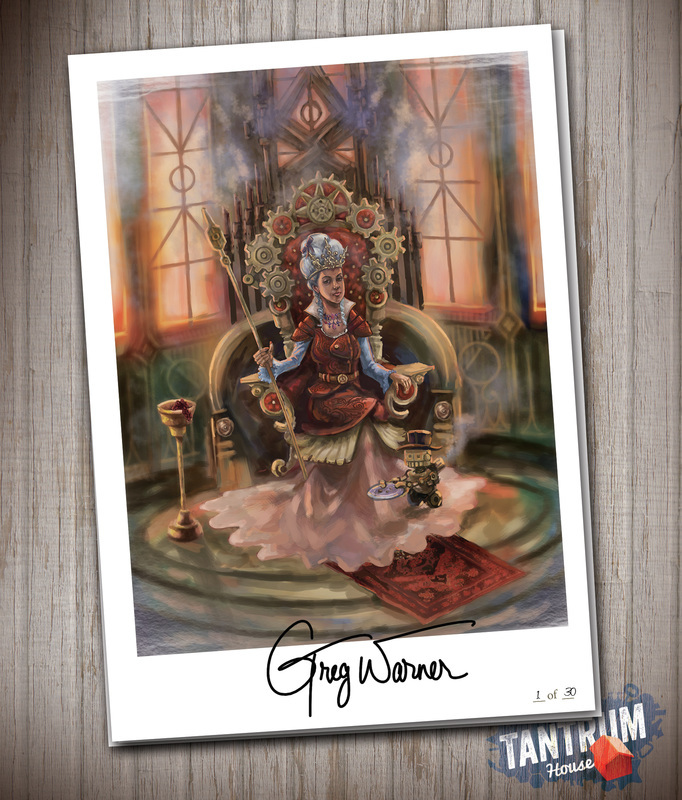 Prizes consists of fifteen (15) Steam Court autographed artist illustration. Odds are determined by the number of entries received. No Prize substitutions or cash redemptions of any Prize or any portion thereof. Participant agrees that all materials containing Participant's Likeness shall be and remain the sole and exclusive property of Sponsor, and Participant hereby assigns any and all rights in or to such material to Sponsor and releases and forever discharges Sponsor from any and all claims, liabilities and damages relating to the use of Participant's Likeness. Participant hereby waives any and all rights to inspect or approve Sponsor's use of the Submission or Participant's Likeness, or any part or element thereof. View Steam Court on Kickstarter!